Once again, Mother Nature has thrown most of us some pretty nasty curveballs this year. February’s early spring burst offered hope but soon gave way to two more months of winter in March and April. It seemed like spring would never really arrive. Many areas suffered from rainy spells, others had to battle drought. Whatever the case, for most of us, the warm temperatures took forever to arrive. During my travels meeting with growers this spring, very few felt like their turf was fully prepared for summer success. Mother Nature then reared back and smacked us in the face before we even had a chance to enjoy the finer things that spring has to offer. June brought higher than normal temperatures for most of the eastern U.S. and July 4th Independence Day served up scorching temperatures and high humidity as well. As I prepare this blog, the summer season is still in its toddler stage. So, it seems the time is right for a heat stress discussion. This is not a comprehensive discussion regarding all the things that you can do to maximize health during heat stress, but it outlines issues and solutions that I encounter the most during my travels, visits, and discussions. I’m going to kick off discussing something most growers don’t really consider a tool for summer stress help: soil testing. Most of us pull samples and have soil tests taken when it’s convenient, usually in the autumn or early spring seasons. However, soil tests taken anytime provide great information. But let’s face it, soil dynamics can change rapidly, especially when irrigation water is heavily used. What the soil offers up in July and August can be a far cry from what it offers in March. I think that it’s really important to know how things differ and to know exactly what the roots are seeing during these critical heat stress periods. The best way to do this is to take one or two samples and send them into a soil test lab. Be sure to have the lab perform a paste extract test so you know what is truly available to the plant. Having this info will help you shift on the fly and provide the correct supplements during this critical time. It could mean the difference in success or failure. At the very least it could help you maintain higher level turf, better greens speeds, better playing conditions, etc. than you otherwise would. It’s a real insurance policy! Not all labs are the same. Taking that into consideration, we implemented our Soil Solver soil test procedure and presentation. 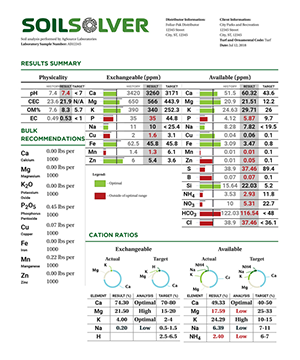 Foliar-Pak works in cooperation with Harris/AgSource Laboratories to provide accurate soil test data in a presentation format that is super easy to read and understand. Along with the results, you’ll receive bulk recommendation information along with great soil and foliar product recommendations. AgSource uses cutting-edge science and procedures. One of the many things that really sets AgSource apart from other labs is the procedures they use for paste extract data (soil available nutrients). All soil samples placed through Soil Solver automatically include paste extract results at no extra cost. I’ll move along with my discussion, but I just want to note that we’ll have more complete information about Soil Solver in a subsequent blog coming soon. It’s a really awesome tool! I don’t have any hesitation or reservations when I say that Foliar-Pak products are laden with the best science and technology in the industry. Our formulations are geared towards improving plant health, while increasing uptake efficiency when the plant is growing in difficult conditions and hostile soils. 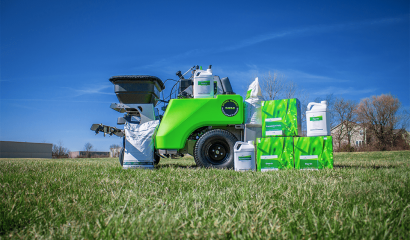 The following is a discussion regarding the best opportunities that Foliar-Pak offers to help your plants succeed under summer stress conditions. As a result of the studies performed at Purdue, we know that Foundation Forty works to load more osmolytes (good salts) into cell vacuoles and stomatal guard cells. 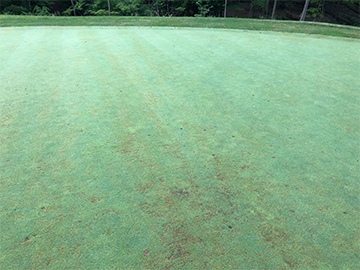 Summer stressed turf is bombarded with multiple biotic and abiotic stress factors. Better osmolyte presence results in plants that function to a higher level under these stress conditions. A stronger, more vibrant plant that has better functioning stomates is also going to absorb more systemic tank mix chemistries. This is especially so for plants that are under significant stress. That’s a nice bonus! Foundation Forty also delivers abundant levels of amino acids that increase carbon assimilation, nitrogen assimilation, and chlorophyll products. This is why many users see an improved color and increased stand density. Foundation Forty increases plant energy and limits top growth. A great one-two punch for conserving carbohydrate reserves. Foundation Forty is a great summer stress tool for all golf course turf, athletic fields, lawns and ornamental plants. A superintendent shared this photo just hours after a CSI L application. The bentgrass is no longer bent over. Foliar-Pak CSi L is an innovative silicon formulation that is very tank mix compatible and is actually foliar absorbed. In a previous blog, we talked about AminoPrecise technology, the formulating method that links a specific amino acid to a certain nutrient to enhance foliar uptake. Our science guru, George Murray, employed AminoPrecise technology when he reacted one specific amino acid with silicon (Si). The beauty of doing such is that the Si remains in solution and doesn’t react with other nutrients. So not only does it get into the plant quickly, but it doesn’t cause any tank mix issues. Reacting Si with this singular amino acid results in a very consistent and stable formulation. But what makes CSi L a great summer stress tool is the combination of Si and this mystery amino acid (It’s a proprietary secret folks!). Let’s talk about the silicon first. There are often soil conditions that are low in Si. Feeding the plant available silicon can strengthen cell wall structures and cuticles. What does this mean to the plant? Increased rigidity which often leads to more upright growth. Stronger cell walls build a physical barrier which protects against disease invasion. Stronger cell walls and cuticles improve wear tolerance. Stronger cell walls and cuticles improve drought tolerance. Our amino acid provides a distinct added advantage. It is employed by the plant as a primary osmolyte. Here is how it works. 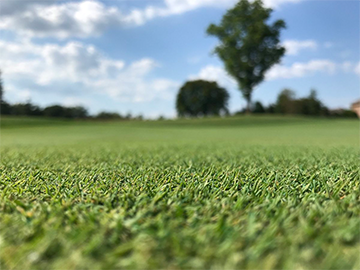 As the soil is dried down, which is often the case on putting green surfaces in order to increase green speeds, the amino acid works to improve the cells ability to retain water. The down and dirty on CSi L is this: Silicon increases upright growth and provides a better cut for more speed, the soil is dried down to provide better speed, and the osmolyte is your insurance for allowing the plant to maintain proper functioning throughout this stress. CSi L is a great tool for improving ball roll and summer stress tolerance on golf course greens. It’s also great for traffic and summer stress on tees, fairways, and athletic fields. Potassium (K) has long been leaned on as a nutrient we use to help plants tolerate heat, drought, and salt stress. Plants burn through a lot of K as they work very hard to respire during high heat and humidity, making it necessary to feed the plant a little extra K. Most of the tissue tests that I see support this strategy. Armament K the source that has been our most productive potassium supplement. It’s a great delivery system for foliar or root feeding. Armament also supplies extra benefits in terms of freeing up nutrition in the soil. While gaining the direct benefits from feeding K, Armament supplies indirect benefits of a little more nitrogen (N), phosphorus (P), K, calcium (Ca) and micronutrient availability from the soil reserves. Armament K is a great tool for all golf course turf and athletic fields. Formerly known as PB1 and PB1-LTO, these products work to stimulate soil and plant energy. A list of summer stress benefits includes increased rooting, bacterial disease suppression, increased soil bio-activity, and increased plant energy. This product tends to be a part of many well-rounded programs as a soil application. Colonise Bio works as a stress preventer when applied prior to severe weather, but I would recommend adding Colonise Bio anytime you might experience some thinning from summer stress as well. It will stoke cell repair, biomass production, and better recovery when a stand needs that little boost. It’s a great way to put the brakes on thinning turf before it gets into too much trouble. Colonise Bio is a great tool for all golf course turf and athletic fields. Colonise Bio LTO is a great tool for lawns, trees, and ornamental plants. Calcium (Ca) is a big nutrient player in the realm of summer stress health. Ca is necessary for proper functioning of growing points including the root tips, cell division, and cell elongation. Ca forms compounds that strengthen cell walls, and it aids in the proper working of cell membranes that regulate protein production, along with being involved in mechanisms that slow the aging process. When it comes to supplementing calcium, Foliar-Pak offers multiple products. For foliar additions, rely upon Foliar-Pak Calcium (7 % Ca). This is a very well-protected calcium source that is built for maximum foliar uptake. From a soil standpoint, we have a few newer options that lean on Armament Technology to enhance the activity of Ca. Armament Gypsum for higher pH soils where flushing of salts and bicarbonates are important and Armament Lime for lower pH soils. Foliar-Pak Calcium, Armament Lime, and Armament Gypsum are great tools for golf course, athletic field, and lawn turfgrass. A discussion on maximizing plant health during summer stress must include important cultural practices. There are several preventative measures that help you maintain healthier turf through summer stress. The rest of this discussion focuses on some of the issues that I witness and are most often discussed during my travels. The following is not a complete list but are some of the more important issues that I’ve run across lately. News Flash: Turfgrass needs sunlight for photosynthesis and air movement for transpirational cooling! Whether it’s a lawn or golf course greens or even some athletic fields, we’ve all seen trees block sunlight and underbrush that inhibits air movement. It’s probably too late this season to really remove a lot of growth that is making it difficult to manage turf. You can use this stressful season to document poor growing environments so you can make the right decisions to eliminate trees and undergrowth during the offseason. Or you can take lots of pictures demonstrating the detrimental effects certain trees have on turfgrass quality. This way you’ll be armed with information you can use to lobby your board/greens committee/ownership/lawn care customer to remove the trees and undergrowth or maybe add fans so you’ll have more success in the future. News Flash: Roots need oxygen! Nothing means trouble for turfgrass more than high temperatures and saturated soils. Lack of soil Oxygen (O2) results in root die back and limited water absorption by the plant. This can lead to wet wilt. Low O2 leads to lack of transpirational cooling as well as direct high temperature kill as soil and air temperatures reach extremes. 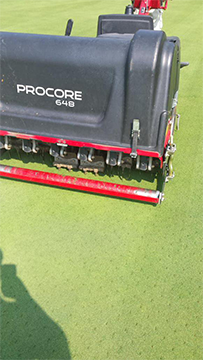 No turf manager should be without a high functioning aerator, which you can use with 1/4 inch diameter solid tines that create pathways for water and air entry into the root zone. Venting prior to and during stress periods is one of the best things I know to do for improving turf quality during summer stress. Lack of soil oxygen and prolonged wet periods will also lead to root Pythium issues that are costly to control. News Flash: Too much water causes more problems than too little! 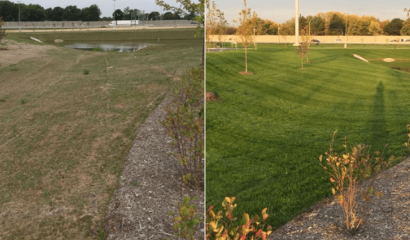 This is certainly not a secret for most turfgrass growers, yet we sometimes create problems by overwatering or by using substandard irrigation systems. Saturated soils can quickly lead to dead turf. One of the biggest summer problems in lawn care is irrigation management. Unfortunately, you have to spend extra time making sure that your customers’ irrigation system is putting out the correct amount of water under drought conditions, and it’s being turned off when precipitation is plentiful. It’s not an easy task but taking the time to educate your customer or adjusting irrigation settings for them can pay great dividends. On the golf course and athletic field side, moisture management has become quite a science with the use of moisture meters and hand watering. Diligence, good record keeping, and adept use of a good moisture meter can take you a long way towards maintaining proper soil moisture, predicting wilt stress, and using syringing techniques in order to improve playing conditions/green speeds while dialing in the correct moisture level for better health. News Flash: Trying too hard sometimes does more damage to turf! One of the worst things you can do is compound environmental stress with mechanical stress. Sometimes folks try too hard when they should just back off and simplify fungicide sprays and cultural practices. This can be difficult especially considering the pressure put upon you to provide certain green speeds. The grass will tell you to back off. Listen to what the turf is telling you. Most of the big problems that I see are brought forth by a grower trying too hard. Pushing turf already under stress can result in disaster. During July and August, you can think twice about the necessity of topdressing, grooming, brushing, rolling, etc. Consider using smooth instead of grooved rollers. Skip cleanup passes often, or even skip mowing altogether when possible. Finally, whether it’s lawn, sports fields, or golf, be sure the mowers are set up properly. Poor quality of cut looks bad, puts more stress on the turf, and can leave turf vulnerable to disease and insects. Mower set up is a very important factor and something that is easily controlled. 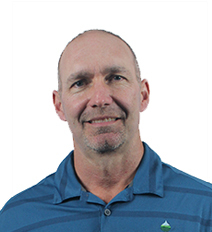 Mother Nature is often a formidable opponent for turfgrass managers. It helps if you have the proper tools, implement new technology and most importantly roll with the punches that she lands. Keep hanging in there. Summer won’t last forever. And if all else fails, you always have the Foliar-Pak Oh Sh#t Program to bail you out!